From the award-winning author of "In the Shadow of Blackbirds" comes a stunning new novel -- a masterfully crafted story of love, loss, and second chances. 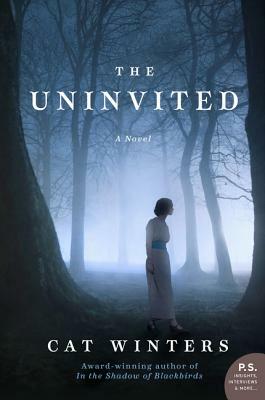 Set during the fear and panic of the Great Influenza of 1918, "The Uninvited" is part gothic ghost-story and part psychological thriller. But Ivy's life-long gift -- or curse -- remains. For she sees the uninvited ones -- ghosts of loved ones who appear to her, unasked, unwelcomed, for they always herald impending death. On that October evening in 1918 she sees the spirit of her grandmother, rocking in her mother's chair. An hour later, she learns her younger brother and father have killed a young German out of retaliation for the death of Ivy's older brother Billy in the Great War. Horrified, she leaves home, to discover the flu has caused utter panic and the rules governing society have broken down. Ivy is drawn into this new world of jazz, passion, and freedom, where people live for the day, because they could be stricken by nightfall. But as her 'uninvited guests' begin to appear to her more often, she knows her life will be torn apart once more, but Ivy has no inkling of the other-worldly revelations about to unfold.